Visit some of the most breathtaking places such as Cochin, Kumarakom, Munnar and Madurai. Enjoy game viewing at various wildlife sanctuaries. Cruise through the famous backwaters at Alleppey and stay in a houseboat. Peek into the history by visiting the most ancient towns of Tamil Nadu such as Tanjore and Kumbakonam. On arrival at Kochi (formerly known as Cochin), you will be met and transferred to your hotel. In the afternoon, you can take a walk in Fort Kochi Area. Later, enjoy Greenix show which is a kaleidoscope of Indian classical art forms and martial arts. After breakfast, proceed for a village backwater Cruise. Return to Kochi in the afternoon for a guided tour. Cruise in the backwaters of Kerala on a houseboat, locally known as ‘Kettuvalloms’. Located in the southwestern part of India, Kerala is one of the most beautiful parts of India. It is popularly known as ‘God’s Own Country’ because of its exquisite beauty and greenery. Savor the beauty of the landscape as we drift along the narrow canals and paddy fields of the scenic backwaters. Watch rare birds, country boat making and toddy tapping as you cruise along the backwaters. Some interesting places visited during sightseeing in Kochi - St Francis Church, built in 1510 is the first European church built in India. The Jewish Synagogue built in 1568, the only Synagogue in India. Also, you will visit the Dutch Palace, it contains excellent mythological murals and a rare example of traditional Keralite flooring - a subtle mix of burnt coconut shells, lime, plant juices and egg whites. After breakfast, drive to Alleppey Backwaters to board your exclusive Houseboat for a cruise through Vembanad Lake. In the evening, you'll be heading for a guided village walk. What is truly magical about a houseboat is the breathtaking view of the untouched and otherwise inaccessible rural Kerala that it offers. The houseboats have all the comforts of a good hotel including furnished bedrooms, modern toilets, cozy living rooms and a kitchen. Enjoying a cruise in these backwaters is not to be missed, as it leaves you feeling fully rejuvenated. After breakfast on board, the Houseboat will drop you at a backwater resort in Kumarakom, famous for its backwater & scenic beauty. You may opt to go for a rejuvenating Ayurvedic Massage at the resort. Kumarakom is a cluster of little islands on the Vembanad Lake and a picturesque, clean village like most places in Kerala. Situated in the backwaters of Kerala, Kumarakom Bird sanctuary is an ornithologist's paradise. The main attractions here are local birds like the Cuckoo, Owl, Cormorant, Moorhen, Darter, Brahminy Kite and Duck. There are many migratory birds like the Siberian Crane that can be spotted here. Parrot, Teal, Lark, Flycatcher, etc. are also often sighted here. Some of Kumarakom's migratory birds come from the Himalayas and a few from as far away as Siberia. 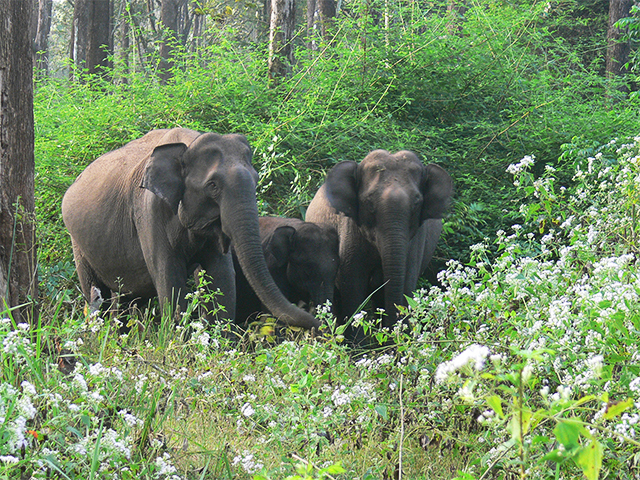 After breakfast embark on a four-hour drive to reach Periyar, the famous wildlife destination. En-route, stop by at Kumarakom Bird Sanctuary.Stay at Spice village located amidst the mountains. In the afternoon visit the spice gardens for which the area is well known. Since the olden times, spices were traded like gold in India and you see why the cardamom and the pepper grown here has a superb aroma.Return to the hotel at dusk and you can relax for the rest of the evening. Today you will go on a morning boat ride on the Periyar Lake. You might see Elephants grazing the grass at the water’s edge or bathing in the shallows. Also spot Indian Bison, Sambhar Deer, Wild Boar and Otters. 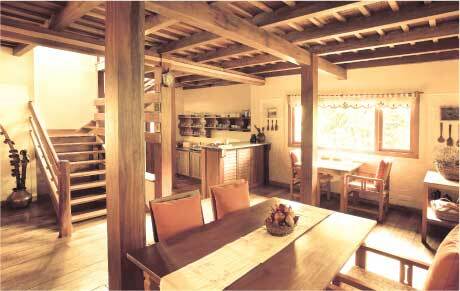 Later, you'll visit the Harvest Fresh Organic Fruit and Vegetable Farm where you will have your lunch. Evening at leisure. Today after breakfast, drive three and a half hours to Munnar. Munnar is a beautiful hill station and a major center of Kerala’s tea industry. The town is surrounded by about 30 sprawling tea estates where these precious leaves are picked, dried and processed into top quality tea.You will drive through Cardamom Hill Reserve. En-route you may stop at a Cardamom Estate to interact, walk through the plantation and see the cultivation. After check-in at the hotel in Munnar, you are free to walk through the tea plantations and spend the rest of the day relaxing and soaking in the rejuvenating climate of the town. After breakfast, drive to Marayoor Sandalwood forest followed by a visit to the nearby tribal village for a traditional lunch. You will be guided by the Eco Society team members. Later, you may opt for a short trek through Chinnar Wildlife Sanctuary which is a wildlife rich area. Return to Munnar for overnight. Eco Development Societies are made to rehabilitate the local tribal people and other unemployed youth in the area under the Forest Department. Their services are used to guide the tourists in the forest activities which brings them a livelihood. Exotic and pristine, Marayoor is a unique place where tourism meets adventure. The enchanting beauty of Marayoor offers diversity in every aspect of the land and culture. Hamlets, rocky hills, rivers, brooks, cave temples, paddy and sugar cane fields, waterfalls, sandalwood and bamboo forests. As you go on the nature trail in Chinnar, you are bound to come across a fascinating plethora of bird and animal life.On the way, you can see an entirely different way of village life from Kerala. The vast expanse of hundreds of crops, sacred groves, termite mount temples and if in season, you can participate in a village festival like fire walk, Jelly Kettu (Bullfight) etc. After breakfast leave for a full day guided Tea Trail experience. You will be driven to a Tea Plantation to go with the workers to pluck the tea leaves and through the whole process of tea making. In between, the Naturalist will give you short Nature walks. Lunch will be served at the Estate Bungalow. Finally, you will taste your own tea and take home a packet of Tea as a memory of your day experience. 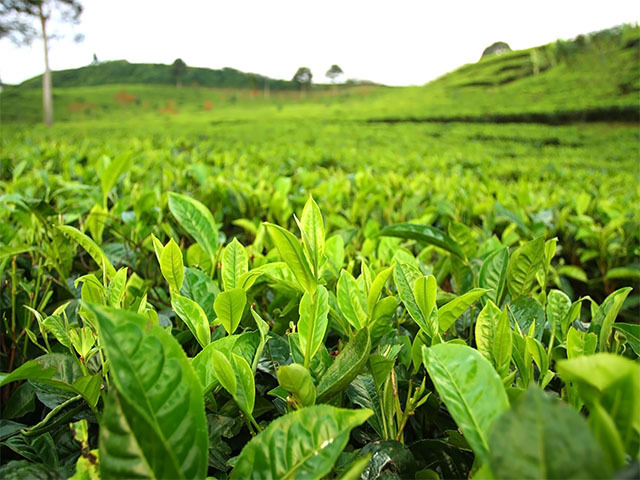 Tea Trail Package Includes: Plantation walks, tea picking, interaction with workers, tea processing experience, factory visit, nature walks, Tea and snacks, A Tea pack (500gms), Entry fees, Camera fees. After an early breakfast, drive to Thattekad Salim Ali Bird Sanctuary. After the visit, drive to Panieli Poru to check in at the hotel set on Periyar River. In the evening, you may walk to the riverside to see the fighting river streams. Thattekad Salim Ali Bird Sanctuary is one of the low altitude evergreen forests. It is a home to 280 species of birds including Grey hornbill, White-bellied tree pie, Rufous babbler, Wayanad laughing thrush, Grey headed bulbul, White-bellied blue flycatcher, Crimson-backed sunbird, Nilgiri wood pigeon, Malabar parakeet etc. After an early breakfast visit Elephant training camp at Kodanadu. The Kodanadu Elephant Center is an orphanage for Elephants. Here you can observe Elephants at close quarters and watch rescued baby Elephants being cared for. It is one of the largest Elephant rescue camps in Kerala and is popular among tourists as it is the only such camp for stranded and orphaned baby Elephants. Tourists can participate in activities like bathing and feeding the elephants. Later drive to Topslip through the Athirappally Forests and Valparai Tea plantations. A lot of wildlife is seen on this route. 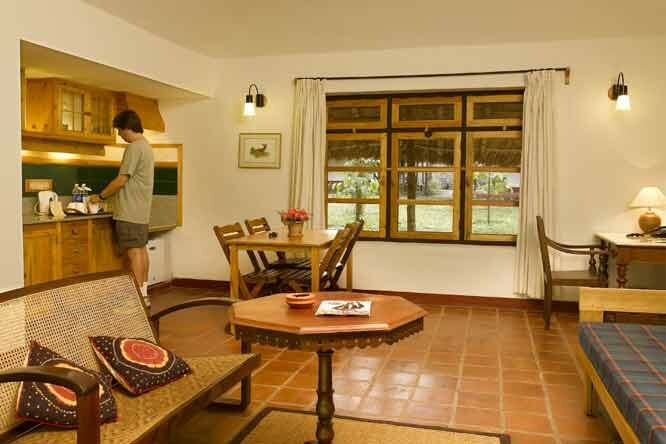 On arrival at Sethumadai, check into a private Farm House for overnight stay. Athirapally waterfall nicknamed as “The Niagra of India”, is situated in Thrissur district of Kerala, on the south-west coast of India.This 42-metre high waterfall and the nearby Vazhachal Falls are popular tourist destinations. The protected forestland of Athirapally & Vazhachal is one among the world’s top biodiversity hotspots, as it serves as a home to endangered, as well as some threatened species of flora and fauna. The International Bird Association has declared it an ‘Important Bird Area'. The Wildlife Trust of India claims, it represents one of India's best Elephant conservation efforts. After an early breakfast, go for a game drive in Anamalai Tiger Reserve. Anamalai is located at the foothill of Anamlai Biosphere and the highest mountain in South India. This day is for a visit to Anamalai Tiger Reserve, which shares its flora and fauna with Parambikulam Tiger Reserve. Rest of the day at leisure or you may walk through nearby farmlands. After breakfast drive to Madurai, an ancient city known as the “Athens” of the east. Afternoon, city tour of Madurai to enjoy the glorious architecture of Meenakshi Temple and the closing ceremony at the Temple, which is a spectacular scene. You may also visit the flower market. Madurai or the "city of nectar" is the oldest and second largest city of Tamil Nadu. Mythology says that when the city was being named, Lord Shiva blessed the city and its people. On the auspicious occasion, some Divine nectar ("Madhu") fell from the matted locks of Shiva and hence the city was named "Madhurapuri". This sacred town of south attracts thousands of pilgrims and visitors from India as well as abroad. Madurai is synonymous with The Meenakshi Temple, Tirumalai Nayak Palace, Mariamman Tank, Koodal Alagar Temple, Gandhi Museum and Government Museum. After breakfast drive two and a half hours to Chettinadu Village and explore the ancient heritage of Chettinad Village. Evening visit the local villages and later return to the hotel. Chettinad is the homeland of the Nattukottai Chettiars, a prosperous banking and business community. Chettinad is well known for its Chettinad cuisine, Mansions, and Temples.Chettinad is rich in cultural heritage, art and architecture, and is well known for its houses, embellished with marble and Burma teak, wide courtyards, spacious rooms, and for its 18th-century mansions. Local legend has it that their walls used to be polished with a paste made out of egg whites to give a smooth texture. Full day to explore the Chettinadu villages. Visit the palace nearby and Athangudi, the artisan’s village. You may also visit the old Chettiar mansions, local saree weaving house, markets and antique shops etc on a bicycle or on a bullock cart whichever pleases you. You may also learn one of the unique Chettinad dishes. Chettinad experience is incomplete without a visit to the streets lined by palatial homes. Like the weekly market, the King’s special waiting room at the local railway station, the sari weaving centres, the tile manufacturing units at Athangudi and the many temples. The temples here are an integral part of every Chettinad family. After breakfast, drive to Tanjore for sightseeing. Visit the famous Brihadeeswara temple, the finest contribution to Dravidian temple architecture. Also, visit Palace Museum. Later, move to Swamimalai. Check in at resort which is a living museum with a lot of high-value treasures. Evening you may visit one of the handicrafts making unit. Tanjavur is the centre of all the classical arts and music. The Big Temple and the other famous temples in the district are known all over the world. Thanjavur is also famous for its distinctive art style, which is usually a combination of raised and painted surfaces.Tanjore paintings are deeply rooted in tradition and still innovative within limits. This art is sacred and dedicated. The Raja Raja Chola Art Gallery has some fine pieces of stone and bronze sculptures from the 9th and 12th centuries. After breakfast, visit the Kumbakonam temples followed by the UNESCO monument of Airavatesvara Temple. Afternoon for further local visits. Evening you may visit the Kumbakonam Anna Vegetable Market which is Asia’s second largest vegetable market. Airavatesvara Temple in Darasuram (Tamil Nadu), dating back to the second half of the 12th century is one of the 4 biggest temples erected by the Chola Dynasty with those of Tanjore, Gangaikondacholapuram and Tribhuvanam. Remarkable monument for its architecture and its great decorative wealth, it has been registered in the world heritage list of the UNESCO in 2004. You can also see the traces of amazing paintings popular with Nayaks’ period of 17th Century. Again, the influence of social life is very much depicted in the paintings as well as the carvings. After breakfast, drive to Puducherry (or Pondicherry as the world still knows it). En-route, visit the temples at Gangaikondacholapuram and Chidambaram. By early evening you will be dropped at Puducherry. Gangaikondacholapuram Temple is noted for its massive and richly carved sculptures. A big Nandi (the bull mount of Lord Shiva) in front of the temple made of brick and mortar, a lion head well with a flight of steps leading to the water level and the gigantic dwarapalakas (Sentinels) are the other special features of this temple. Chidambaram Temple is a Hindu temple dedicated to Lord Shiva located in the heart of the temple town of Chidambaram, 78 km south of Pondicherry and 60 km north of Karaikal in Cuddalore District, the east-central part of the Tamil Nadu state of southeastern India. Post breakfast, you’ll be enjoying a full day trip of Puducherry. You’ll be visiting the sites such of Aayi Mandapam, archaeological ruins at Arikamedu and the old port of Poompuhar, etc. You may opt for a stroll along a beautiful beach or visit the shops nearby before you head back to the hotel. In the morning, if the time permits you will visit Auroville before continuing to Chennai to board your flight back home as we come to the end of this memorable journey down South. * The above quoted price is for foreign nationals only.